Skiathos has an airport, so you can fly directly to the island. 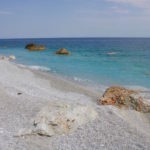 Skiathos and Skopelos are not an all‐year‐round destinations as it can get pretty cold during the autumn and winter. Because of this, all tour companies as well as most restaurants will be closed at those times. I stayed at the reasonably priced Azalea Hotel, which is directly opposite several beaches and walking distance to Skiathos Town. My room was spacious and I also had a nice balcony with sea view. In Skiathos Town, I recommend taking the short walk from the port up to the St. Nikolaos Bell Tower. This is the spot where Sophie posts her wedding invitations to her three possible dads in Mamma Mia! 1. The scene was altered for the movie and you don't find exactly the same view. But it's still a breathtaking lookout over all of Skiathos Town and the two ports. The Old Port of Skiathos, which is only a few steps away from the ferry terminal of the New Port, is where various sightseeing boats leave for daily boat excursions. For more on these, see point 3 and 4. 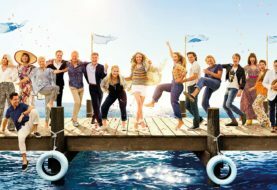 Regarding Mamma Mia! 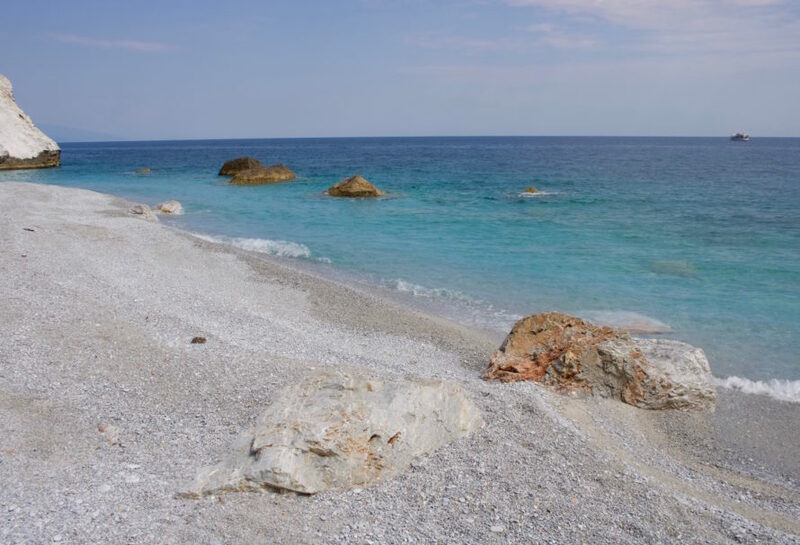 film locations, the Old Port of Skiathos was the backdrop for the scene, in which the three possible dads played by Pierce Brosnan, Colin Firth, and Stellan Skarsgård first meet each other. Quite a fun experience is to take the super quick speed boat from the Old Port of Skiathos Town to the lively beach of Koukounaries. One way costs 5 Euros and only takes around 15 minutes. This was my favourite activity on Skiathos! When you stroll along the Old Port of Skiathos, you will find several boat companies that offer day tours with hop on / hop off stops around the island. I opted for the "Margarita" boat tour, which at 10 Euros (when booked two days in advance in person at the port) was a real bargain. The stops included two snapshots stops at the so‐called Dark Cave and the Fonissa's Cave, a swimming stop at the most beautiful "paradise beach" Lalaria (1 hour), a hiking or swimming stop at the old fortress of Kastro (1 hour), a stop for swimming or lunch in Asselinos or Troulos (1,5 hours), and a stop for one last swim on the isle of Tsougkrias (1 hour). 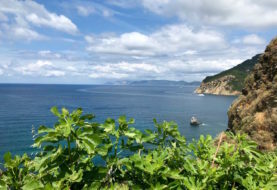 The hike up to Kastro is not the easiest one and you have to start walking as soon as you get off the boat to make it up and back in one hour. It is worth it for the view (and a little workout) though! Even if there was a bit of time pressure, I really liked the fact that I saw so much of the island in just one day. Plus, as the highlight of the day, we even saw two dolphins! The Taverna Selini offers good, well‐priced food and some great views over the Mamma Mia! film location of the Old Port of Skiathos. When walking from my hotel to Skiathos Town along the beaches, I had a really nice watermelon and cheese lunch at the beachfront taverna Café del Mar.